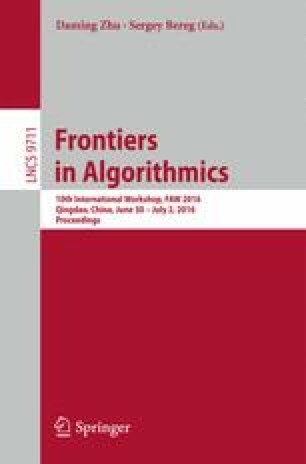 We present improvements to a branch-and-bound maximum-clique-finding algorithm MCS (WALCOM 2010, LNCS 5942, pp. 191–203) that was shown to be fast. First, we employ an efficient approximation algorithm for finding a maximum clique. Second, we make use of appropriate sorting of vertices only near the root of the search tree. Third, we employ a lightened approximate coloring mainly near the leaves of the search tree. A new algorithm obtained from MCS with the above improvements is named MCT. It is shown that MCT is much faster than MCS by extensive computational experiments. In particular, MCT is shown to be faster than MCS for gen400_p0.9_75 and gen400_p0.9_65 by over 328,000 and 77,000 times, respectively. We express our sincere gratitude to the referees, E. Harley, and T. Toda for their useful comments and help. This research was supported in part by MEXT&JSPS KAKENHI Grants, JST CREST grant and Kayamori Foundation grant.